In some towns and cities, where residents will be advised to report any suspicious activity they notice as a means of testing the military’s effectiveness. The Third Amendment of the Bill Of Rights states, No Soldier shall, in time of peace be quartered in any house, without the consent of the owner, nor in time of war, but in a manner to be prescribed by law. Ambiguous, maybe, How are we to know if they are soldiers if they are moving undetected, possibly into our homes? The Fourth Amendment states The right of the people to be secure in their persons, houses, papers, and effects, against unreasonable searches and seizures, shall not be violated, and no warrants shall issue, but upon probable cause, supported by oath or affirmation, and particularly describing the place to be searched, and the persons or things to be seized. But the Bill Of Rights is to be blatantly ignored as Roy Boyd, chief deputy with the Victoria County Sheriff’s Office. “They’re going to set up cells of people and test how well they’re able to move around without getting noticed in the community.” Can’t the already move around the community? They are Americans? Right? .There is more at play here as the Jade Helm playbook , Master The Human Domain intends to Collect information on who you are. What you do. Who you know. And enter you into a demographic to be analyzed. Dissidents will be dealt with. Sound a little extreme? The 2006 US Military Police Training Manual targets Civil Disturbance Operations within the United States and FM 3-39.40 Internment and resettlement Operations details the overall psyop officers and prison camps that will be used if the plan is implemented. But let’s be clear this is a blatant PSYOP not a martial law takeover we at Infowars are trying to make you aware of. There’s a big difference. The massive population of the U.S must first be conditioned, before the next phase rolls out. And the hostile areas according to Jade Helm must first be put in a chokehold by a corporacratic government that can no longer and will no longer sustain the pursuit of happiness of its subjects. Most people I spoke with were unaware and trusting of a Government dominated by foreign banks and eroding trust. Others not so much. Tags: Bastrop Texas, Jade Helm, Martial Law, Operation Jade Helm. Friday: The Alex Jones Show. 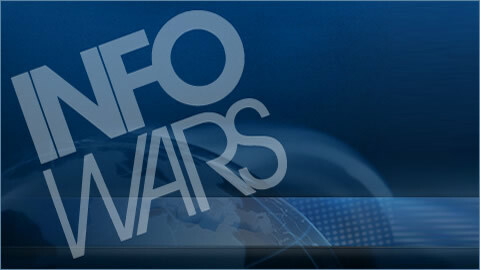 The road to tyranny is paved with your liberties, wake up and fight back with INFOWARS!